A recently recalled Johnson & Johnson metal-on-metal hip implant has been described as one of "the most flawed orthopedic devices sold in recent decades." An internal review conducted by Johnson & Johnson found that its DePuy Orthopaedics division failed to assess the possible risks associated with the device before releasing it to the public. Experts say that as a result, over 90,000 patients are currently using flawed hip replacements with disastrous failure rates. The Articular Surface Replacement (A.S.R.) implant sold in the United States was never tested clinically on patients. Instead, DePuy employed engineering controls to test the product. 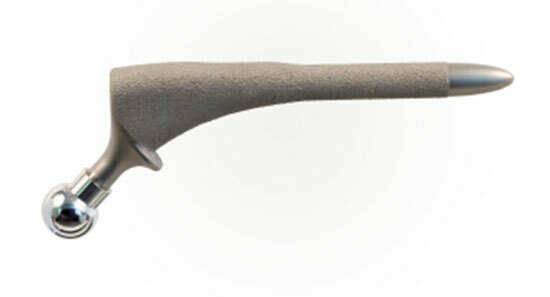 According to a DePuy engineer, the company only tested the performance of the implant at one angle of insertion. This led to unexpected results when surgeons attempted to install the A.S.R. implant from different positions. The joint's cup and ball component were forced into contact, discharging dangerous metallic debris into the patient's body. As a result of this inadequate testing, DePuy didn't anticipate the high rate of deterioration the A.S.R. would experience as a patient moved. The faulty implants have led to over 10,000 lawsuits in the United States so far. Researchers theorize the devices will need to be replaced in 40 percent of patients within five years. Source: "Implant Risk Was Assessed Inadequately, Court Is Told." The New York Times. January 31 2013.